On the last day of November, the decadence of summer is long gone. The flowers and leaves, butterflies and bees were so easy to take for granted until autumn and then winter take them from us. But every season has its own treasures and the wind-whipped, leaf-stripped trees are on glorious display across the countryside. One thought which always strikes me when I see winter silhouettes, is how amazingly adept trees are at achieving their structure in an infinite number of ways. A line of trees planted together will each grow to maturity in a different form. The form will be dictated by species, by sub-species perhaps, by individual genetic variation, phenotypic plasticity to adapt to the conditions, defense responses to biotic attack or abiotic damage such as frost and wind, competition avoidance strategies and more besides. There are as many answers as there are trees to the simple question of how to be upright. And whilst the tree is growing, the process is never complete as the tree grows adaptively to maintain its balance and posture with continual interaction with their environment. One recent 2015 study put an estimate of 3 trillion on the number of trees in the world. The mind boggles to even begin to comprehend the variety and scale which this number encompasses, but here are nine examples from my walk near Muston Meadows at dusk this evening. 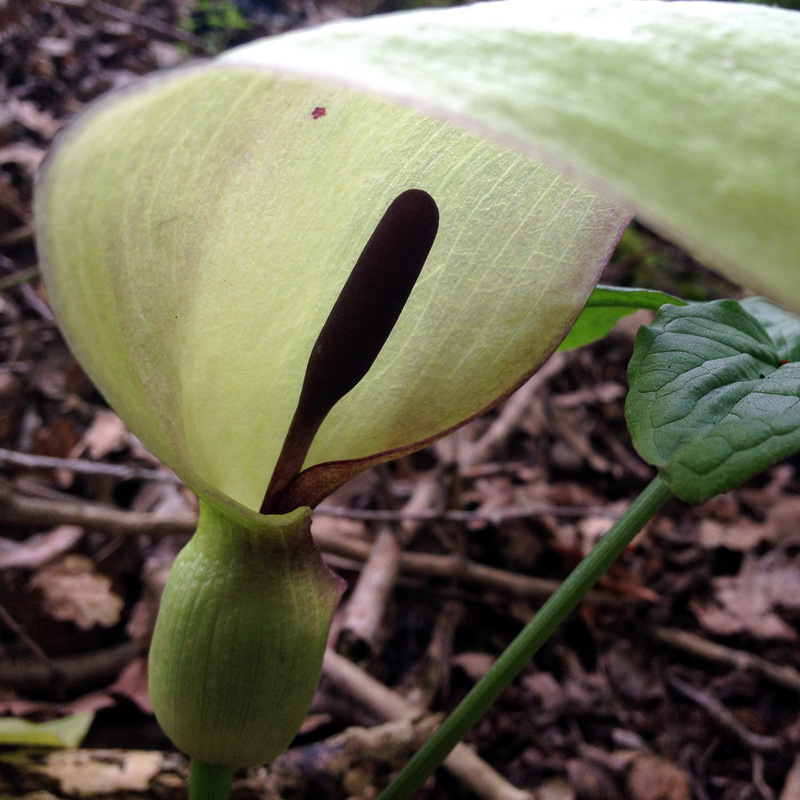 The Arum Lily is a fascinating plant which stands out from the crowd throughout its life. 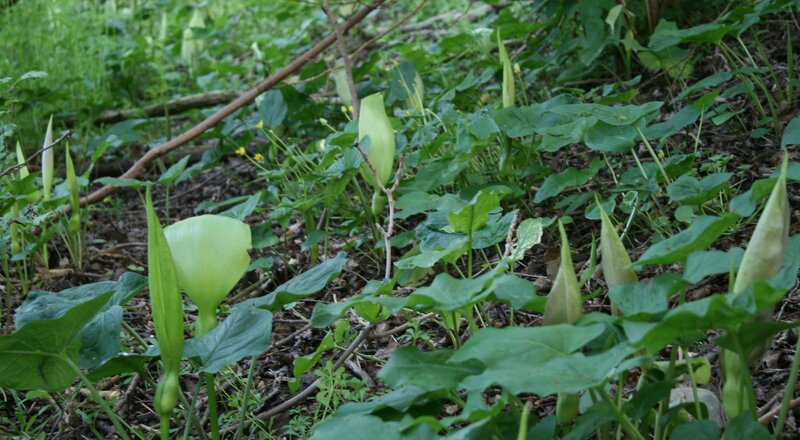 The latin name is Arum maculatum but it has many old English names, the two most common being Lords and Ladies and Cuckoo Pint. 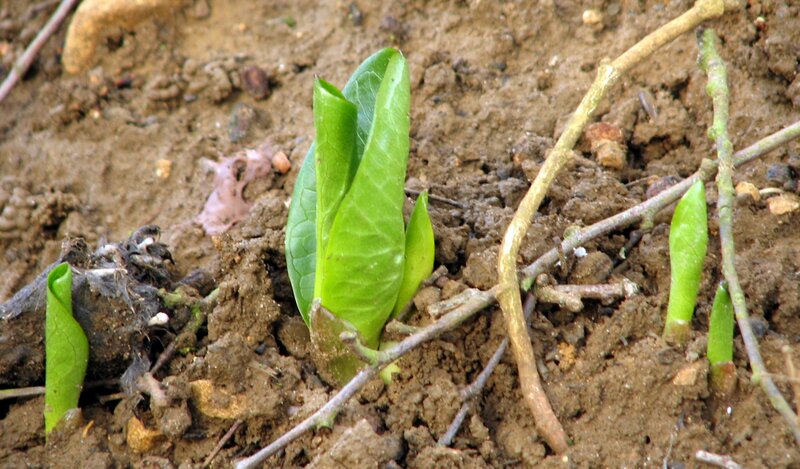 In the spring, the leaves unfurl, growing and turning out of the bare ground before most other plants are beginning to burst their buds. From the cluster of lush dark-green heart-shaped leaves arises the flower, a creamy white wrap-around cone with a peaked tip. 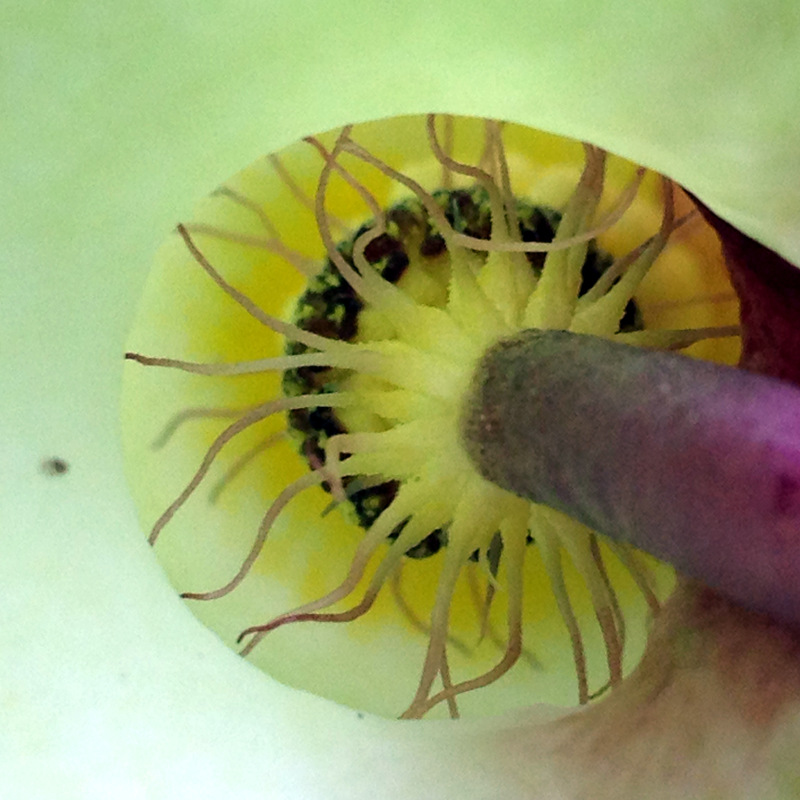 Within this white cowl – actually a bract rather than a flower – dwells the spadix which is a purple tower of tiny inflorescences. Looking down into the centre of the flower from above gives a unique view reminiscent of a plasma ball, the looping tendrils creeping like electricity made visible. The flowers die back and the leaves soon follow and you could all but forget about the lily through mid-summer. 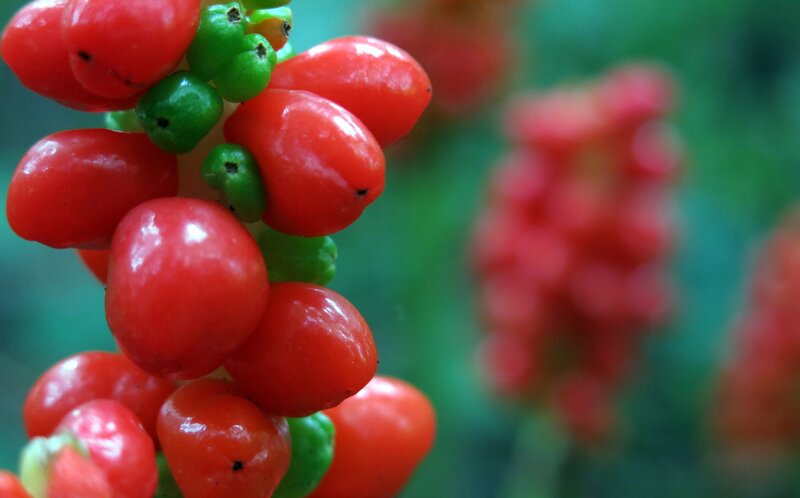 Then in late summer and early autumn, it asserts itself once more as the berries become apparent, growing from the spadix which is all that remains of the flower. 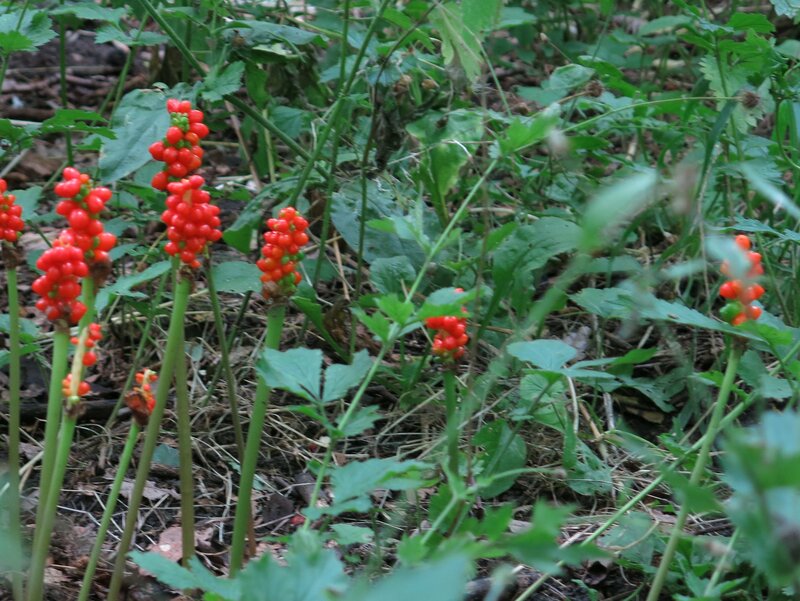 These fruiting spikes are reminiscent more of a mushroom than a flower, appearing alone on a solitary leafless stalk where the berries soon shade from bright green to brighter red. This is a fairly common species can be seen throughout the UK in hedgerow bases and woodlands. They are a plant of shady habits and often represent the only species where the darkness is densest under the closer canopies.